ALEXANDRIA, Va.—The American Subcontractors Association’s annual national convention, SUBExcel 2019, will examine technology in construction with a particular focus on the adoption—and resistance of—new technologies in a construction world where technology is here to stay. SUBExcel 2019 is the premier education and networking event for subcontractors, specialty trade contractors, and suppliers in the construction industry. The ASA convention will take place March 6-9 in Nashville. Visit www.subexcel.com to learn more and to register online by the Feb. 1, 2019, early-bird deadline. Two-thirds of general and specialty trade contractors report significant improvements to the flow of project information after incorporating mobile technologies for project teams; three-fourths of these find they have better collaboration among team members; and more than two-thirds of these report improved productivity, according to McGraw Hill Construction. More and more owners will only demand that quality work be done faster, and technology will allow contractors and subcontractors to make that happen. 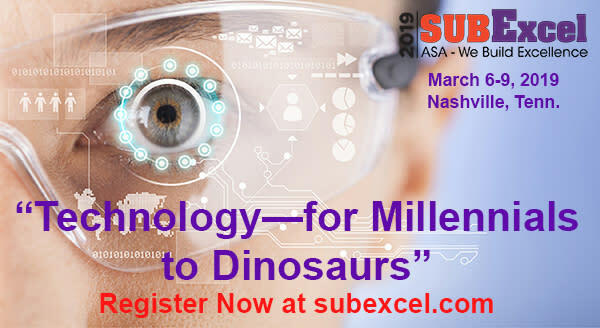 Under the theme of “Technology—for Millennials to Dinosaurs,” ASA education workshops and sessions will explore how subcontracting firms can bridge the gap between those who may be “resisters” or “refusers” of technology and those who are “early” or “tentative” adopters to create a cohesive workforce. Subcontractors will also learn about some of the most exciting new technologies to be used in construction. In the education workshop, “Reality Capture for Existing Conditions—Save Time, Lower Risk,” presenters David F. Dengler and Garrett Maldoon, Kelar Pacific, San Diego, Calif., will discuss 3D LiDAR scanning and drone photogrammetry and how reality capture levels the playing field for any size firm. SUBExcel 2019 will also feature an exciting keynote speaker, Clint Swindall, the Power of Personal Engagement. The engagement of employees continues to be a top priority for business leaders—and for good reason. Research indicates a highly engaged workforce can increase productivity, profitability, and innovation, while reducing costs associated with attracting and retaining new employees. In a nutshell, engaged employees are good for business. In this keynote presentation sponsored by Commerce Bank, Swindall will take a look at personal engagement and the impact it has on the engagement of those around us. For the complete schedule of education programs, click “Program” from the menu at www.subexcel.com. Founded in 1966, ASA promotes the rights and interests of subcontractors, specialty contractors and suppliers by building strength in community through education, advocacy, networking and professional growth. 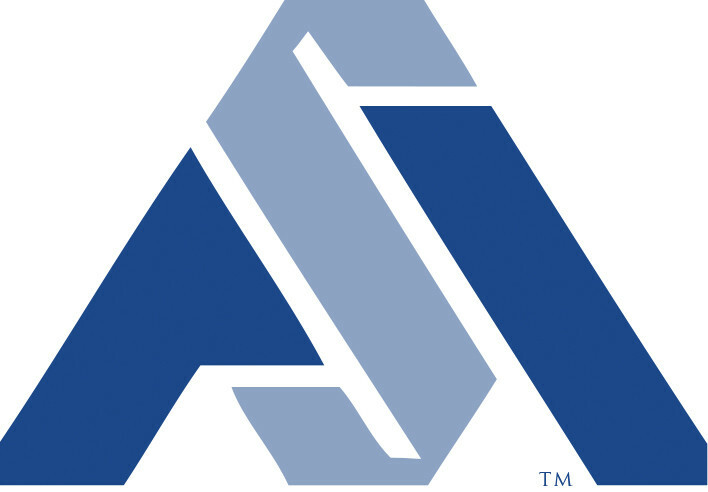 ASA adheres to and promotes quality construction, ethical and equitable business practices, safety in the work environment, and best industry practices. For more information about ASA, visit www.asaonline.com.